A storm is coming… The journey into instrumental progressive rockers SONS OF ALPHA CENTAURI‘s new album « Continuum » progresses; as the video for « Solar Storm » lands today. The video starts a black and white fine art epic shot in and around the spiritual home of SOAC, Swale and the Isle of Sheppey and the story progresses into a cinematic visual feast of intergalactic travel through space and time. The introspective journey of ‘Solar Storm’ has been directed by long term collaborator ‘Simon Risbridger’ who worked with Sons of Alpha Centauri on visuals including live performances with A Storm of Light. 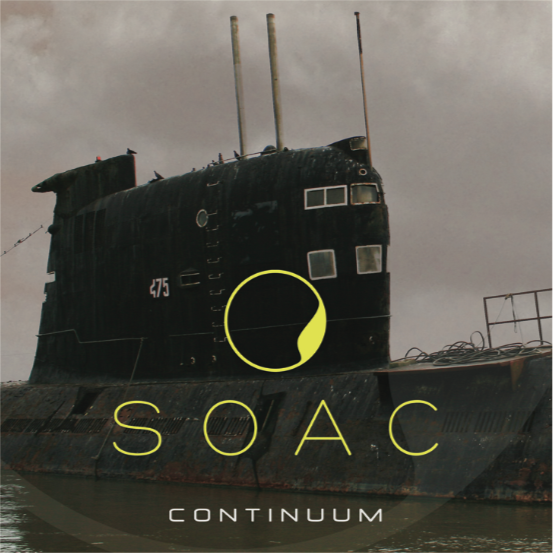 « Solar Storm » is the second single taken from the second SONS Of ALPHA CENTAURI’s album « Continuum ». The album has been received to critical acclaim and is available from H42 Records in Europe and Cobraside Distribution in the United States and Canada. Blending maritime and space themes the album drives eight tracks through an introspective journey curated by instrumental cultists SONS Of ALPHA CENTAURI. The hypnotic and trance like futuristic Vangelis esque soundtrack is a record that will find place with purists and protagonists alike. Watch the video for new single « Io » here. Produced and mixed by Aaron Harris of ISIS/Palms and mastered by John McBain of Monster Magnet/Wellwater Conspiracy, the album explores the deeper and darker side of the band into ambient electronic post-metal and progressive alternative rock. An interview with SONS Of ALPHA CENTAURI discussing the making of their new album and working with Aaron Harris can viewed here. Psych legends Hawkwind + complete lineup announced for DESERTFEST LONDON 2018! Electronic doom-blues project NIGGGHT unleash new lyric video ; ‘Violent Delicacy’ EP out March 22nd on digital. Supreme doom explorers MESSA debut new song « The Seer » ; « Feast For Water » out April 6th on Aural Music.